⇑ back to "FIRST WORD"
When the next wave of the Spirit hits, let's pray that it will crash into all denominations. Five years ago I had a vivid dream in which I found myself inside the Vatican. This was odd, since I have never been a Roman Catholic and have never traveled to Italy. Even more unusual was what I saw when I peered out the window: A giant wave was headed in my direction. The tsunami dwarfed the entire city of Rome. I lost my footing when the wave crashed into the building. Immediately the floor began to move and I realized the room was tilting. Although no water was coming through the arched windows, the building began turning on its side. I held on tightly to a marble column while furniture, books, statues and light fixtures crashed around me. The gradual movement did not cease until I was standing on the ceiling. The whole building had been turned upside down! When I walked out of the room I met a group of priests and nuns who were singing choruses and praying loudly in tongues as they raised their hands in the air. Before the dream ended I was praying with them. When I woke up I was startled and immediately told my wife what I had seen. I am not prone to having prophetic dreams, but because it was so vivid I knew God was speaking to me in this strikingly visual way. After I prayed about it, I felt the Lord speak to me in no uncertain terms: Pray for the Catholics. I desire to send another wave of My Spirit. And this time it will turn the church upside down. Depending on your age, you may remember that one of the most profound spiritual movements of the last century began in 1967 at Duquesne University in Pittsburgh. After some Duquesne professors read David Wilkerson's 1963 book, The Cross and the Switchblade, they were baptized in the Holy Spirit and spoke in tongues. When they shared their experience with a group of students at a religious retreat, this new Pentecostal fire sparked a blaze that quickly spread to millions of Roman Catholics around the world. In the earliest days of the movement, nuns were casting out demons, priests were healing the sick and many lay Catholics were attending charismatic conferences where they danced in the aisles and waved praise banners. At the movement's peak in 1976, 30,000 charismatic Catholics jammed into Notre Dame's football stadium to celebrate this heavenly visitation. But even though Pentecostalism revived the Catholic Church for a while--and ignited huge Catholic renewal movements on every other continent--the glory days ended in the United States almost as quickly as they began. 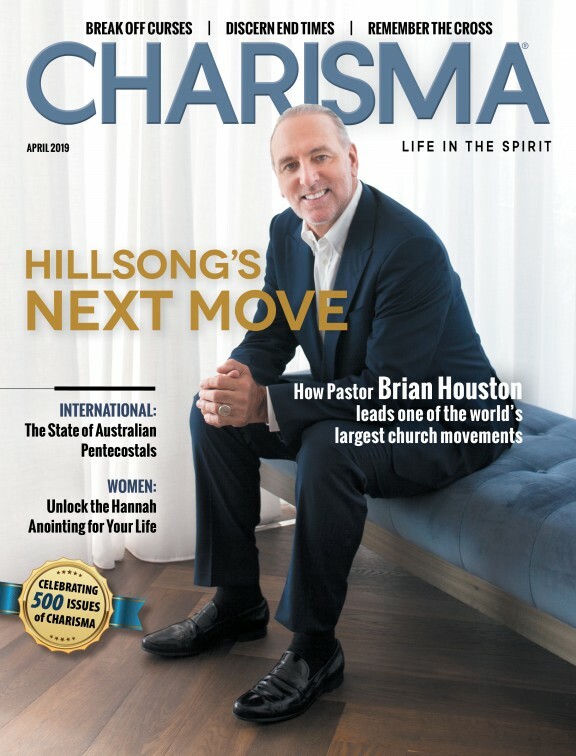 Prayer groups disbanded, conference attendance lagged, and many participants either left the Catholic Church to join Protestant congregations or became "former charismatics" who returned to status quo Catholicism. What happened? Leaders of the Catholic charismatic movement are understandably defensive when you ask that question. They claim that their movement--which was officially endorsed by Pope John Paul II--went mainstream and continues to influence the church, only in a quieter way. Critics, however, charge that religiosity, tradition and questionable syncretistic practices (such as misplaced emphasis on apparitions of the Virgin Mary) quenched the fires of renewal. We could argue the point. (And the Lord knows there are plenty of Protestants eager to argue about Catholic doctrines.) But I would much rather focus on what the Lord asked me to do--which is to pray for another wave. I think all of us could learn from what happened to the Catholics. Some Catholic leaders viewed the coming of the Spirit as a nice theological "add-on" that might appeal to some people and grow some churches. They welcomed the Spirit as long as He did not make too much of a mess. But the Spirit is not something we add to our own programs and religious agendas. He does not come simply to touch us, to make us feel good, to heal our bad memories or to make us rich. He comes to subdue our carnality, incinerate our selfishness, throw out our idols and transform our very nature. In other words, He messes us up! When the Spirit came upon the disciples in the book of Acts, He manifested Himself as a rushing wind and a blazing fire. Chains were broken, buildings shook, tyrants were convicted, blind men saw, false teachers were struck blind, demons came out screaming, riots erupted and pagan empires were subdued. The same Holy Spirit is here to invade us again. When the next wave of the Spirit hits, let's pray that it will crash into all denominations, not just the Catholic Church. And let's pray that He will cut through the shackles of man-made tradition, topple outdated religious structures and restore in us genuine, radical New Testament faith.